Go from the Eni gas station in the direction of Balestrate (SP17). Turn left on the Via Pier Santi Mattarella. Go left at the roundabout and enter the SS187 in the direction of Trapani and Castellammare del Golfo. Follow the road until you see a blue sign for Partinico. Go left here (SP132). This is the first climb of the route. 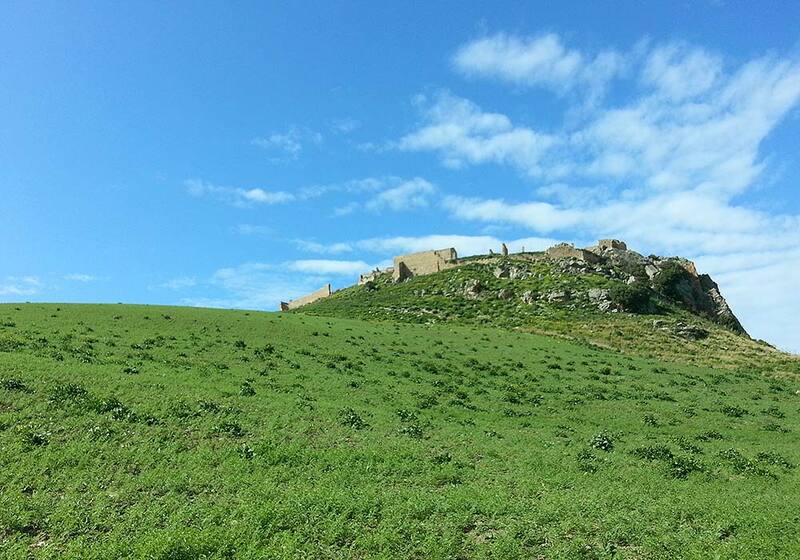 Follow this road, passing the Castello di Calatubo, to a roundabout in a small industrial zone of Alcamo. Go left here. Exit this area following the Via 191 in Contrada Vallenuccio and turn right at the roundabout. Enter the SS113 in the direction of Trapani. Follow this road until the exit for Alcamo Marina. Turn right here. At the end of the exit, turn right in the direction of Alcamo Marina and follow this road (SP55) until you reach the SS187 in this coastal town. Turn right on the SS187 in the direction of Balestrate and follow this road until you arrive at this point. Turn right here in the direction of Partinico and Contrada Manostalla (this was the first climb of the route). At the end of this climb, turn left in the direction of Partinico and the highway. Follow this road until you reach the SP17. Turn left here in the direction of Balestrate. After several hundred meters you’ll see the Eni gas station on your right. Click here to view this cycling route in Google Earth. You can download this free program here. Click here to view this cycling route in Google Maps.